Canada as a nation emerged in the wake of the birchbark canoes, the engines of the fur trade, Canada’s first industry. The canoe epitomizes our history and are part of what makes us Canadian. “When you paddle a voyageur canoe on Lake Superior you fall back in time. There are no distractions, no human intrusions. This coastline is still wild. It’s a timeless place where the voyageur legend is alive and well.” Conor Mihell, Author & Adventurer. The Voyageur Canoe and Lake Superior’s coast are together a link in Canada’s Canoe Culture. We’re celebrating that by offering 6 guided, all-inclusive wilderness adventures by 36 ft replica voyageur canoe, each paddled by up to 12 trip participants. Starting early July in Lake Superior Provincial Park, each “brigade” will travel 5- to 10-day legs, finishing mid August 19 at Fort William Historical Park, Thunder Bay. We expect that each of the 6 legs of the journey will focus on a quintessential Canadian theme: First Nations, voyageurs, Group of Seven art, folk music and lighthouses. Our intention is to host each section with an expert on each theme and feature a Canadian singer-songwriter (aka “paddling minstrel”) to serenade participants around evening campfires. Brigades will be led by experienced guides with an intimate knowledge of the coastline. They have advanced wilderness first aid training, superb navigation knowledge and time-tested backcountry cooking skills. 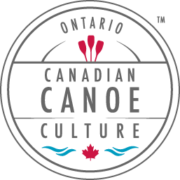 Learn more and join us on one or more of these Canadian Canoe Culture trips. I feel that you have created a truly welcoming and inviting kayaking cultural centre. Not only do you promote the ancient skill and present day sport of kayaking, you also share your love for Superior with all of us who visit with you.